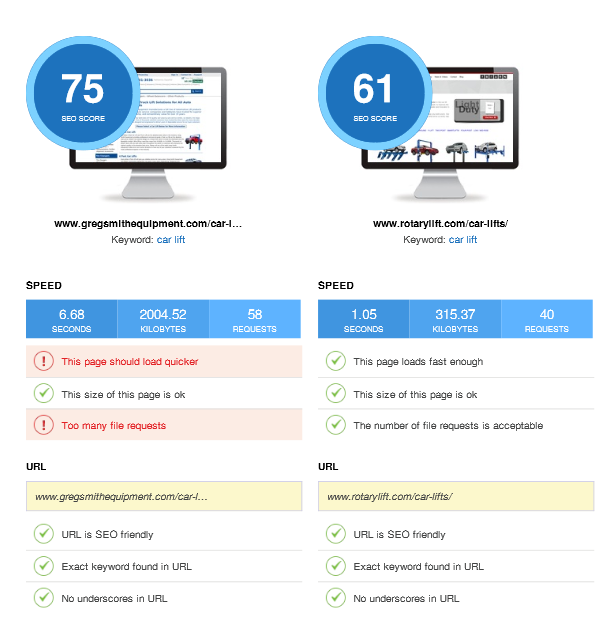 See how well optimized your web page is and compare your site against your competitors. Remember that small on-page SEO problems can make a big difference, so don’t leave money on the table make sure that the search engines can understand the purpose of your website: Paste in your home page or landing page URL, enter a keyword phrase that you would like to rank for, for example “Bankruptcy Attorney Los Angeles”. This Free SEO checker will instantly show you on-page search engine optimization factors that have been done well and those that need improvement. SEO Competitor Analysis and market share of your selected keywords. With our tool you can analyse your web pages and website. Subscribe to our expert SEO tools or SEO services to see what your competitors are doing to out rank you in every search engine results page. Armed with the right information and the knowledge of what to do it becomes much easier to win more business. Clicking the “Free SEO Audit” will launch a popup form to complete with your website details. If you prefer to speak with a SEO Consultant please consider contacting us to discuss your needs. Alternatively for a more in depth analysis please consider subscribing to our cheap SEO Trial for just $2, this gives full access to the all inclusive SEO tools, further details are below. Subscribe to Any of Our SEO Services. We will provide this advice for free so choose any plan that you want to, even the Cheapest SEO plan we offer “SEO Starter” which is a SEO Tools only plan that you can access for just $2 with a trial (after the two week trial the price is $14.99 per month). Add your site – follow the instructions to add your site and authorize access to your Google Analytics data.